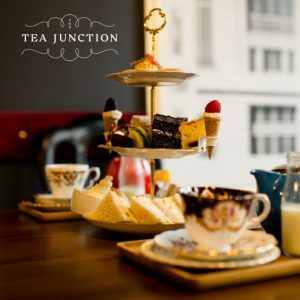 Why not buy a wonderful gift voucher that entitles your recipient to Afternoon Tea at the Tea Junction in Douglas. Choose from 1 – 4 people for afternoon Tea! A delicious vintage platter of dainty sandwiches, handmade cakes, scones & savouries, served with a pot of tea from our speciality tea menu. PLEASE NOTE THAT AFTER ORDERING YOUR VOUCHER WILL BE EMAILED TO THE RECIPIENT YOU CHOSE IN YOUR ORDER. 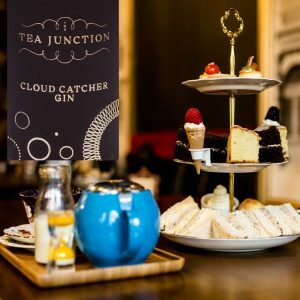 Why not buy a wonderful gift voucher that entitles your recipient to a TJ Afternoon Tea with one of our own fruity home-infused gins with tonic at the Tea Junction in Douglas. Turn Afternoon Tea into a G&T occasion! Choose from 1 – 4 people! A delicious vintage platter of dainty sandwiches, handmade cakes, scones & savouries, served with a pot of tea from our speciality tea menu with a glass of our own infused gins. PLEASE NOTE THAT AFTER ORDERING YOUR VOUCHER WILL BE EMAILED TO YOU SEPARATELY FOR YOU TO FORWARD TO YOUR FRIEND OR RECIPIENT. 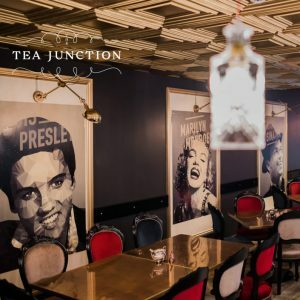 Why not buy a wonderful gift voucher for a family member, friend or colleague towards anything to be spent in the Tea Junction, 14 Castle Street, Douglas, Isle of Man, M1 2EU. PLEASE NOTE THAT AFTER ORDERING YOUR VOUCHER WILL BE EMAILED TO YOU SEPARATELY FOR YOU TO FORWARD TO YOUR FRIEND OR RECIPIENT. 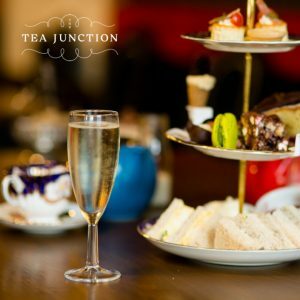 Why not buy a wonderful gift voucher that entitles your recipient to a Sparkling Afternoon Tea at the Tea Junction in Douglas. Turn Afternoon Tea into a sparkling occasion! Choose from 1 – 4 people! A delicious vintage platter of dainty sandwiches, handmade cakes, scones & savouries, served with a pot of tea from our speciality tea menu with a glass of Prosecco. PLEASE NOTE THAT AFTER ORDERING YOUR VOUCHER WILL BE EMAILED TO YOU SEPARATELY FOR YOU TO FORWARD TO YOUR FRIEND OR RECIPIENT.